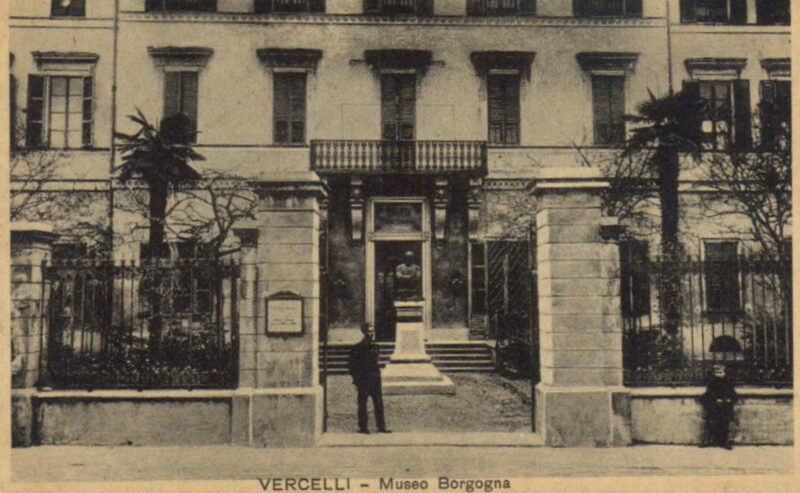 After obtaining the royal recognition as a charitable trust in 1907, the Municipality and the Board of Directors, (chaired by the founder’s grandchild lawyer Francesco Borgogna and led by his friend Vincenzo Laviny), decided to open to the public the ground floor of the museum “Geometra Francesco Borgogna” in October 1908. In front of the museum is the bronze bust of Antonio Borgogna, made in 1910 by the Vercelli sculptor Francesco Porzio. For a larger and more secure layout of the collections, more space was needed so the building was expanded between 1912 and 1915. In the garden area, engineer Giuseppe Leblis built a large section according to the systematic description of objects in the museum. This section, adjoining the two lower wings of the building, is a large living room, double height, no windows, coffered ceiling and toplighting. The new section was implemented in May 1915 and, thanks to that, it was possible to create a new layout and leave more space between the works of art displayed in the rooms. They also thought a new arrangement would have increased the number of visitors to the museum. No changes were made to the set-up of some rooms (e.g. the Arab room and the library), while sculptures and bronzes were grouped together. 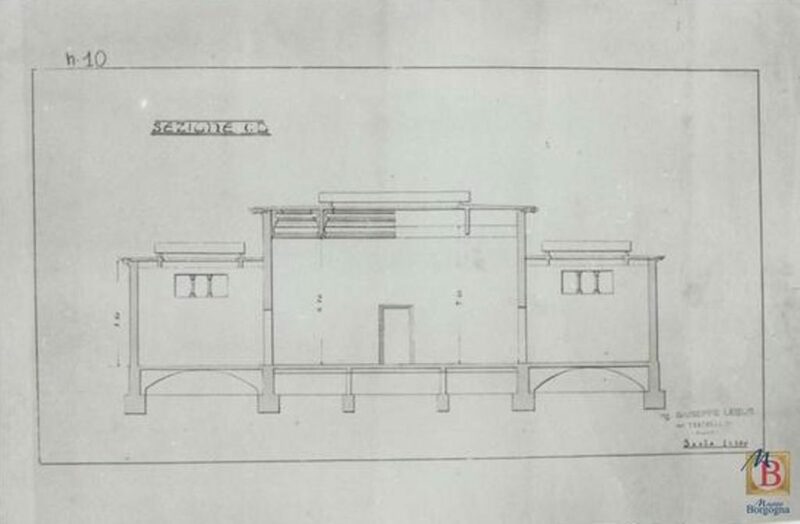 In 1932, the project of a second expansion of the museum was commissioned to engineer Giuseppe Leblis who also designed a new facade that unfortunately was never added. In the same year, the museum was led by Vittorio Viale (1891-1977), famous archeologist and museographer, born in Trino vercellese, who will be appointed as director of the Museum of Turin. He reassembled the painting collection based on the new museological and museographic criteria. The Borgogna Museum became city art gallery to house paintings and wall paintings that had been stored for long periods of time. 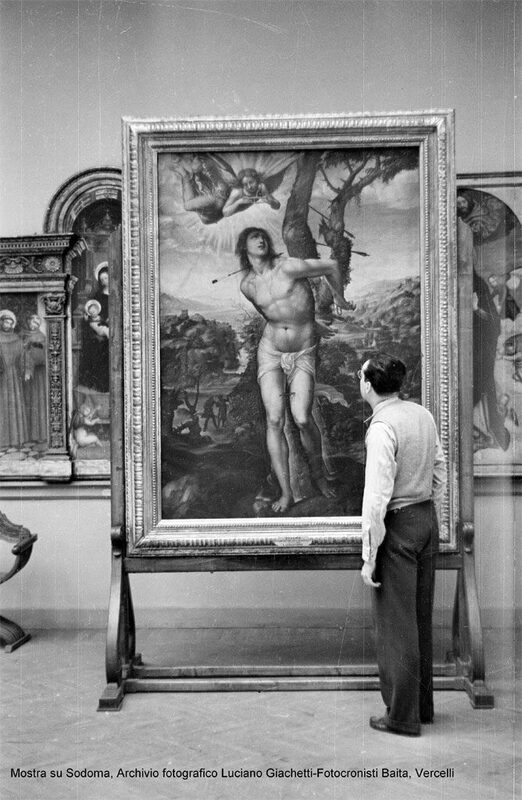 Those were mainly artworks from the collection of great value of local art at the Vercelli Institute of Fine Arts and from churches in the city. Old paintings and works from the nineteenth century of the original collection are still displayed while furniture, sculptures, bronzes, decorative art objects, nineteenth century paintings were stored or transferred to the Leone Museum. For security reasons, the museum was dismantled during the Second World War and neglected in the postwar period. 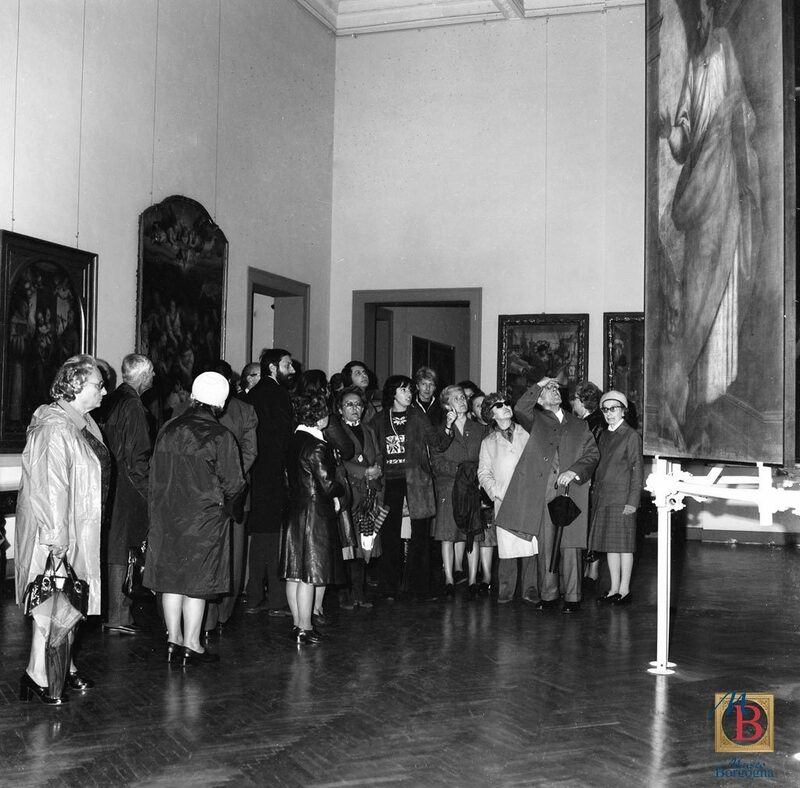 It was mainly used as a venue for important exhibitions like the one on the works by Ferdinando Rossaro in 1946, the works by Sodoma in 1950, the nineteenth century painting collections of Biella in 1952, the works by Gaudenzio Ferrari in 1956 and the works by Ambrogio Alciati in 1961. 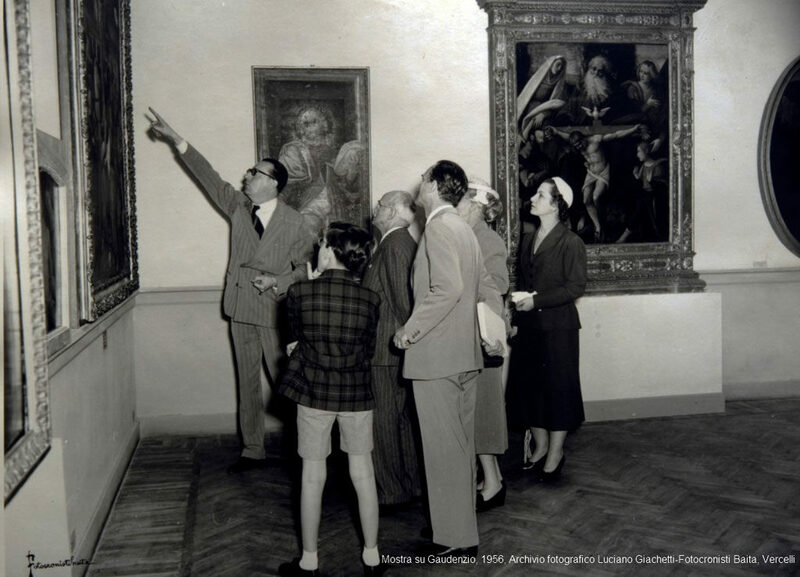 In the early 1960s, a new set up of the museum is proposed by the new President, Lawyer Francesco Ferraris, and according to the scientiﬁc management of the Authority for the Artistic and Historic Heritage of Piedmont. On the ground ﬂoor are works of local art while on the ﬁrst ﬂoor are displayed Flemish and Dutch paintings as well as Italian and foreign paintings dating back to the 19th century. In 1985, the second ﬂoor of the building was reassembled and reopened to the public to display a selection of furniture, objects and decorative art works from the Antonio Borgogna’s house-museum. Several works of art, like paintings and sculptures of both private and public institutions, were displayed and safeguarded at the Borgogna Museum. Starting in 2000, significant restorations were made to artworks and room decorations in anticipation of the celebration, in October 2008, for the ﬁrst centenary of the opening of the museum to the public. Works, that were stored both inside the Museum and in other institutions, are accurately classified and added to some of the rooms of the house-museum and to the whole exhibition tour. At the same time, works were carried out in terms of compliance of installations and safety standards. In 2011 the Borgogna Museum obtained the regional recognition and certiﬁcation of quality standards.